In the past few months there have been many different fashion trends. These trends have ultimately followed over to wedding gowns and bridesmaid dresses. There are many different locations and designs for weddings which determine the type of dress that will be worn by both the bride and the bridesmaids. 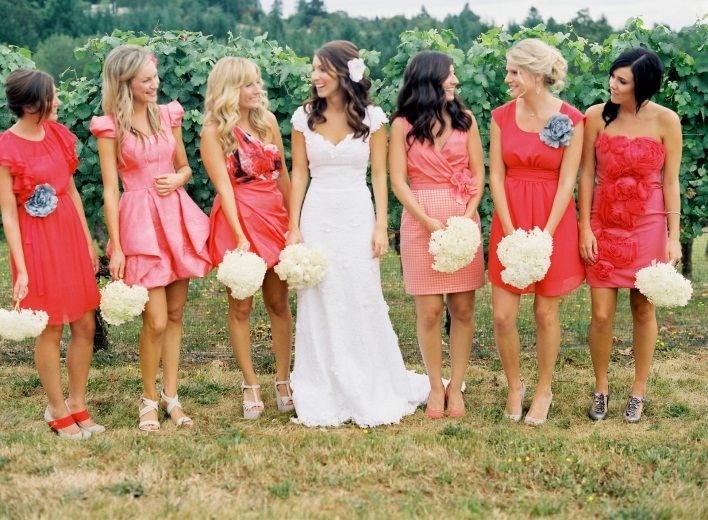 Lately a new trend I have noticed is to have the bridesmaids wearing different styles of dresses but keeping the same color theme. I really like this because it also gives the bridesmaids a chance to be a little unique and express themselves. This is also great because as women we all have different body types and curves and clearly do not all look good in the same dress. I also feel that by allowing the bridesmaids to wear different dresses it gives the wedding an extra little flair and gives the bride even more focus on the brides amazing dress. I posted below a few pictures of brides who followed this trend and had a beautiful wedding. An All-White Theme on Pinterest! 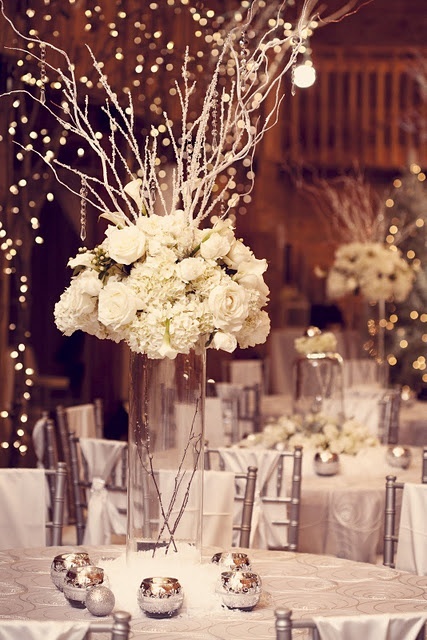 With being an intern for GiGi Noelle Events you see a lot of different ideas, themes, styles, and trends that are very popular in the weddings. 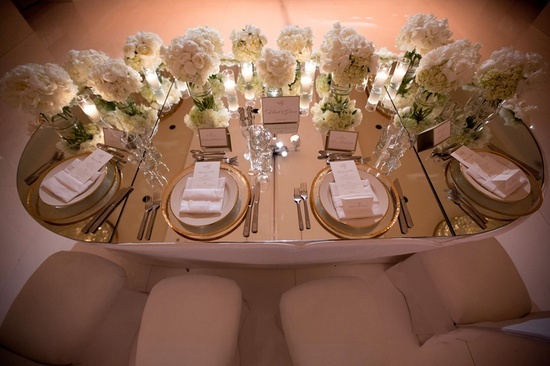 Brides also bring in many ideas that they see on one of the most amazing sites in the world… Pinterest! So without being said I obviously have a favorite. Lately I have noticed an all-white theme and I love it. It seems to be everything from the flowers to the line to be all white. 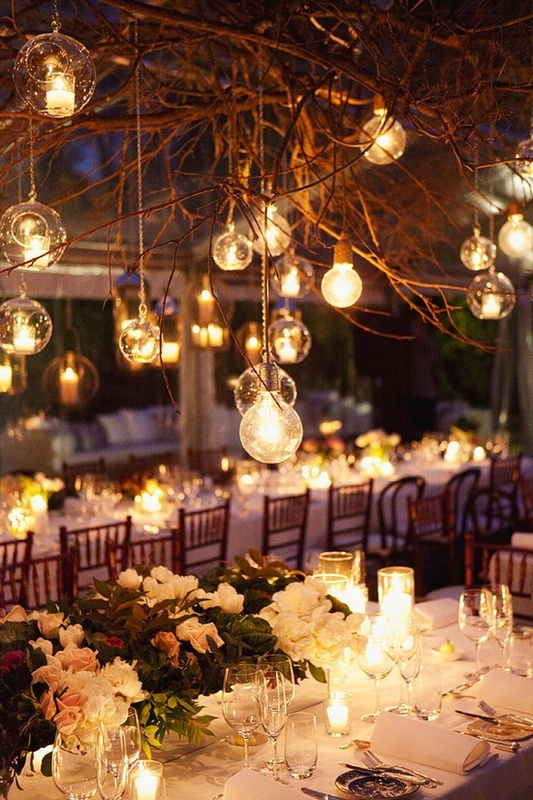 This trend also includes a candle a lot of candles which gives the candle lit dinner effect. I really like this because it looks and has a very romantic feel which I think is perfect for a wedding. Here are some pictures! 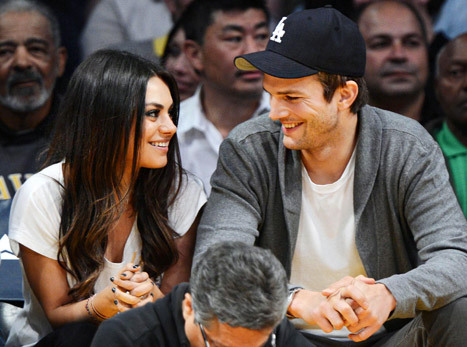 Couple, Mila Kunis & Ashton Kutcher, decide to go with this theme when they decide to tie the knot.